jasmin and alice Kiss 3. . Wallpaper and background images in the croisements Disney club tagged: photo jasmine alice disney crossover. 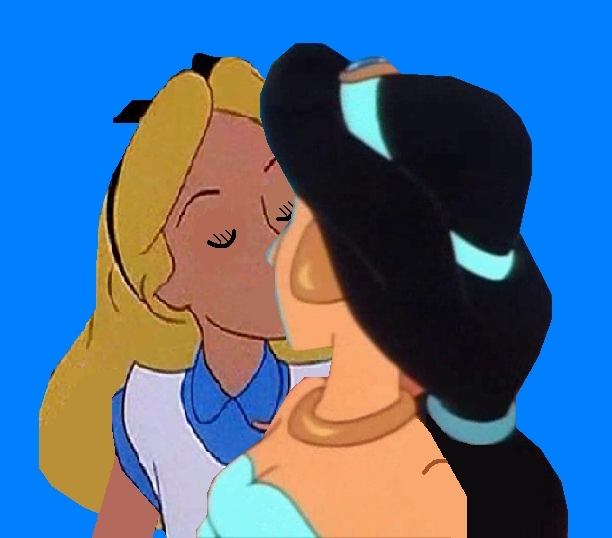 This croisements Disney photo might contain anime, bande dessinée, manga, and dessin animé. Will toi be my Valentine, Pocahontas? Boy this l’amour is supernatural, can toi feel it?